Back to school is a busy time for both kids and parents. There are school supplies to buy, schedules to arrange, and college students may have a move to plan. But technology can take some of the stress out of the back to school season. The right gadgets can help them zoom through school work and help you keep them safe. If you aren’t sure which gadgets belong on your school shopping list, here are the four high-tech helpers that are on our list this year. Most high school and college-age kids are driving cars that are an average of 7 – 10 years old. And the older the care, the more likely your child is to run into car trouble. Most car batteries only last four or five years, while the alternator — which keeps the battery charged — may only last seven years. Both can die without much warning, leaving your teen stranded with a car that won’t start. Or, worse, with a car and a phone that won’t start. Instead of leaving them to wait for a jump-start from a stranger, give yourself peace of mind with the Cobra JumPack Classic, which will let them jumpstart their car themselves. That means no waiting around in an empty parking lot hoping for someone to show up. This pocket-sized battery weighs less than a can of soda and is slim enough to keep in the glove compartment for easy access in case of battery breakdown. That means that neither you nor your student will have to worry about relying on a stranger for help or waiting for tow truck. It will jumpstart most cars multiple times on a single charge and will hold its charge for up to 8 months. Since it’s a portable battery, it can also charge phones, so your child can always be in touch. While it may seem pricey, calling a tow truck for a jump start could cost $50 to $75, which makes the Cobra JumPack’s price quite modest. Considering how likely battery problems are in a car this age, this portable battery is well worth the money. With hundreds of laptop models on the market, it’s tough to pick the perfect computer for back to school season. Younger children may be fine with a low power (and low cost) Chromebook — but Chrome OS can be a particular problem for high school and college kids who need to run Windows software for their classes. But you can’t just buy any Windows laptop: students need to carry their computers from class to class all day, and not every laptop can manage. A 2-in-1 that combines the portability of a tablet with the convenience of a laptop-style keyboard can be the perfect choice: carry it with the keyboard as a laptop, or remove the keyboard and use it like a tablet. And we think the Lenovo Miix 630 2-in-1 is an ideal back to school buddy. This 12.3” system is slim and light, with a fanless design that means it’s so quiet you won’t realize it’s running. For note-taking, its detachable keyboard has excellent key travel so you feel like you’re typing on an actual keyboard rather than a flimsy tablet accessory. And if you prefer handwritten notes, a stylus is included for writing on the touch-sensitive screen. The system is powered by a Qualcomm Snapdragon 835 processor rather than the more common Intel processors, and you’ll see a big difference in battery life. The Miix can go up to 20 hours on a single charge, just what a college student on the go needs when they’re rushing from class to class. And if your student ever finds themselves out of Wi-Fi — whether taking their studies out to the quad or working on a research paper on the train — speedy 4G LTE is built right in. 1GB of LTE data per month is free for the first 12 months, offering all the benefits of always-online connectivity without any of the costs. And while the system comes with Windows 10 S — a more restrictive version of Windows that only lets you run apps from the Microsoft Store — you can upgrade to Windows 10 Pro for free within 180 days of activation. Price: Starting at $899.99 on Lenovo.com. Includes 12 months of 1GB per month of High-Speed LTE data. Managing screen time is a constant challenge for any parent, and with kids heading back to school it’s more important than ever to make sure they’re spending enough time studying. That makes this the perfect time to re-evaluate your household screen time limits. But keeping tabs on screen time is tough. Parental controls built into most digital devices are lacking, and monitoring just one device isn’t enough when kids have a whole household of connected devices to play with. That’s why you want Circle Home, a device that plugs into your router to monitor everything on your home network. For even more control, it pairs with the Circle Go mobile app (for an extra cost) to get a detailed look at what your kids are doing with their smartphones and tablets when they’re away from home. 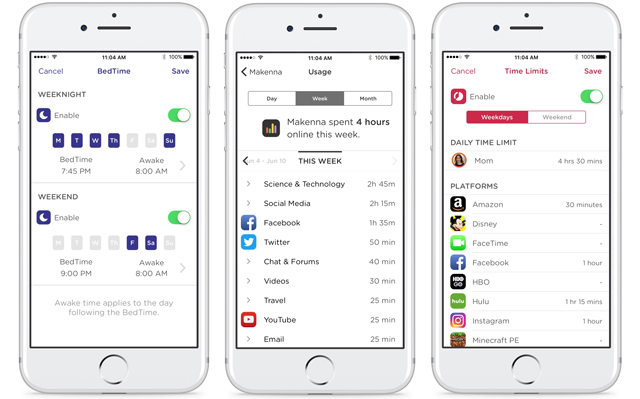 Circle Home lets you set daily time limits for each device, app or app category. You can also set a schedule, with a BedTime and Off times for when the kids need to study. You can even turn off access with the tap of a button — say, when the kids are ignoring your calls to come to dinner. On the flip side, you can easily reward kids with extra screen time, like when they’ve aced a test or finished their homework early. It acts as a content filter, too, helping kids safely navigate the internet without running into anything inappropriate. But monitoring is just as important as setting rules, and Circle Home also gives you a detailed breakdown of what your child is up to. You can see how much time each child spends on their devices, which platforms they use and even breakdown time by individual apps. Price: $99 on MeetCircle.com. Circle Go is available for iOS and Android. Subscriptions cost $4.99 per month for up to 10 devices. Of course, the easiest way to manage screen time when kids are away from our watchful eyes is not to give our them smartphones in the first place. However, in today’s connected age it’s troubling to let our kids leave home without a way to get in touch with them. Relay from Republic Wireless offers the best of both worlds. 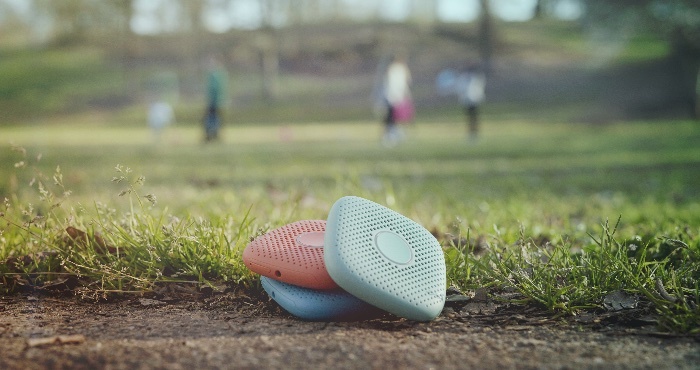 This screenless device is more like a walkie-talkie than a phone. Instead of having a screen or even a keyboard, it has a single button that kids press to send a message to anyone connected to the Relay account — making it like a family group chat. Other family members can quickly reply with their own voice message using the Relay app on their own smartphone. 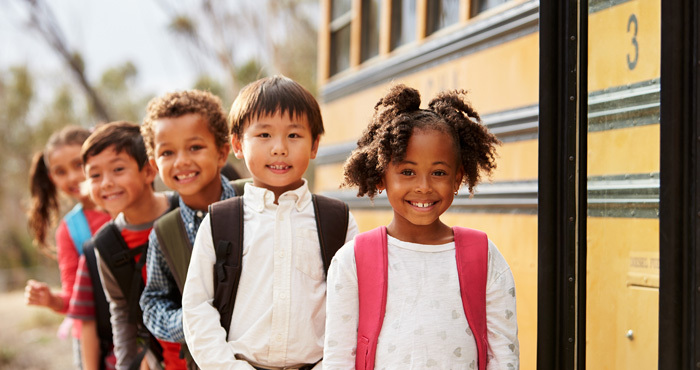 It uses Republic Wireless’s 4G LTE network to offer nationwide connectivity, so you and your child can talk no matter where you are. Beyond the easy ability to contact your children, you can easily track your kids with Relay’s built-in GPS. You get all of the reassurance a smartphone provides without any of the worries. Price: A single Relay costs $100, two for $149 ($74/ea) or three for $199 ($66/ea) on RelayGo.com. A subscription is required for LTE service, but each device costs a modest $6.99/month subscription (with an initial $6.99 activation fee).